Just another quick entry with something until I get time to update my portfolio. 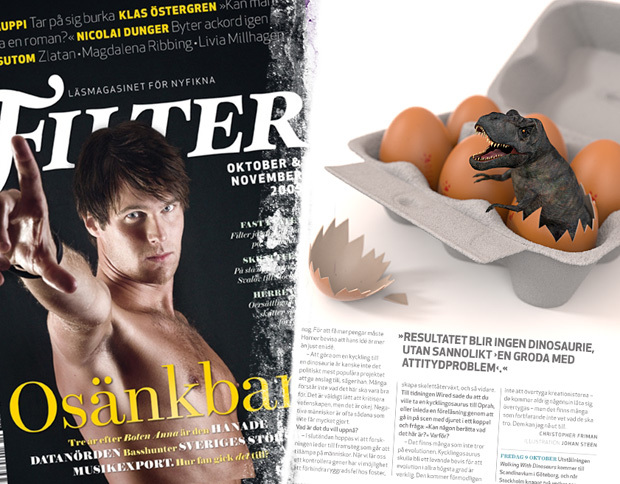 Here is a CG illustration of a dinochicken, chickenosaur or whatever to call it – I did a few weeks back with modo 401 for the latest issue of the magazine Filter (issue 10, October & November 2009) currently on sale wherever you can get Swedish magazines. 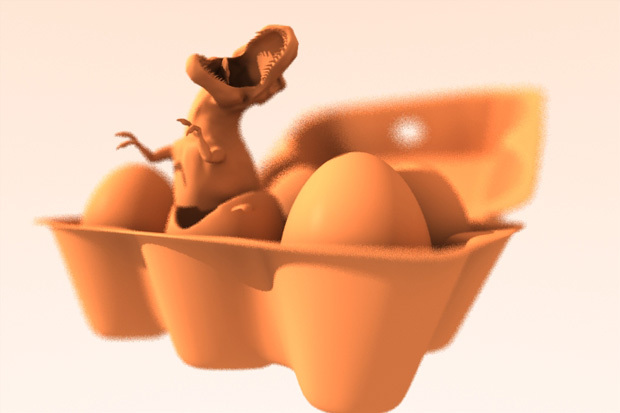 I created this illustration to accompany an interview with the American paleontologist Jack Horner, known for being the advisor on all Jurassic Park films, regarding his theories to use chicken DNA to re-create the dinosaurs. 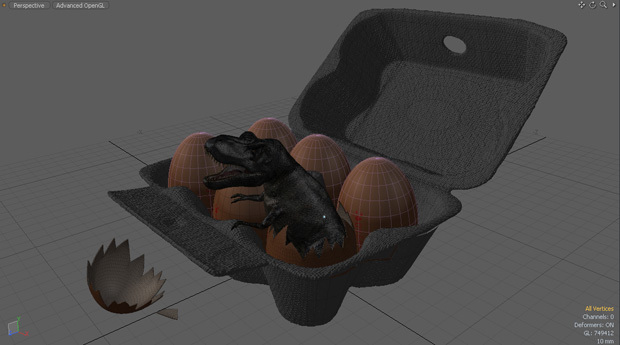 The T-Rex being born in an egg box. He would probably be pretty upset hanging out in my kitchen. 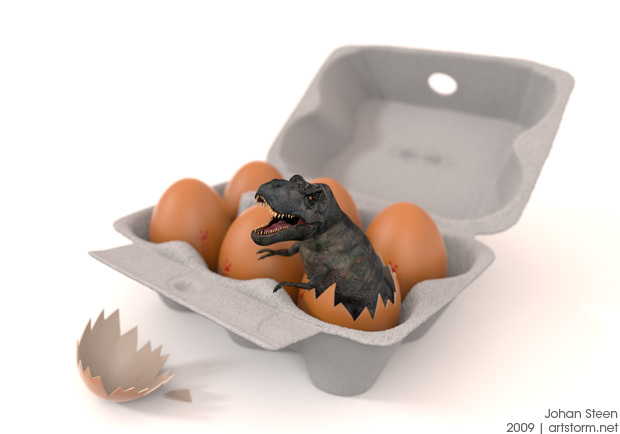 Oh, here’s also one of the early versions, which I thought turned out kind of funny. This is the pose I would have preferred to go with myself. Hej, jag gillar din blog! Verkligen proffsig! Du gör rätt coola bilder!